I doubt that the nineteen lads who attended a meeting in the Eastleigh Town Hall in the summer of 1931 would have envisaged that 75 years later the Club they formed would still be going, and residing in a brand new purpose built clubhouse. The first Chairman was B Coates, first captain was LJ Woodward, G White took on Hon Sec with LO Scott as Hon Treasurer. A young Bill Saffery sat in the corner and kept his hand down. Weekly match fees were agreed at one shilling and nine pence [ not even 20 pence today ] and the Town's colours of black and amber were adopted for the shirts. Red was added in 1935 in order to avoid a clash with most other local clubs who also wore mainly black shirts. The first pitch was at Fleming Park, now covered by the Leisure Centre, and the first clubhouse was at The Home Tavern. Prior to 1931 rugby in Eastleigh was probably played under the name of Pirelli General, who had a team up until 1964. However, the first known photograph of any team playing under the Town's name was taken in the 1891/92 season they played Portsmouth RFC in the Hampshire County Challenge Cup Final Tie in March 1892. Eastleigh Town lost the game by 7 points [ one goal, one try ] to 2 points [ one try ]. Another early photograph of around 1910 shows an Eastleigh team in white shirts with a 'skull and cross bones' badge. Further research has revealed that the first known mention of an Eastleigh rugby team was in fact in September 1887, when an Eastleigh & Bishopstoke Rugby Club was formed. Their first game was against a side called St Edmund's, who won by a goal and try to nothing, and was played on Southampton Common. St.Edmond's..C. Calloghan, back: C.D.Austin, E.O. Sullivan, A. Tinkler, three-quarter backs; F.F. Palmer, A. Groves, half-backs; R. Brand, L. Deney, A. Derrick, A.E. Elcock, L.O. Sullivan, H. Wyatt, F.J. Palmer, forwards. Eastleigh ..J. Brooks, back; W.H. Adkins, J. Elliott, J. Orchard, three-quarter backs; W. Vaughan, T. Springer, half-backs: W.J. Allen, J. Brown, R. Parsons, C. Peckham, C. Matcham, J. Nutbeem, H.E. Willmer, W.L. Wallis, J. Halligan, forwards. The first known photograph of an Eastleigh Rugby Team was taken in the 1891/92 season. A copy of this photo now hangs in the Clubhouse. This match proved the hardest played on the North End Ground this season, the Eastleigh team having been greatly strengthened since their last appearance in Portsmouth by a number of men engaged in the Railway Works. Owing to the non-arrival of four of the visiting team who had lost their train, the match was delayed for an hour, but at last they arrived, and the teams took the field before a large crowd of spectators, about 150 of whom came from Eastleigh, and who throughout the game made their presence heard most unmistakably. Portsmouth, who were without Edmunds, Rees and Street, started the ball up the slope, and a smart run by Brook transferred the leather to the Portsmouth twenty-five, where he was pushed into touch by Hobbs. For sometime the visitors pressed, when Andrews relieved by some good kicks into touch, but Sprittles also gained a lot of ground for Eastleigh by similar tactics. Portsmouth rushed the ball up the field, and some pretty passing between Andrews, Hobbs and Jones was then witnessed. The latter attempted to drop a goal from the touch line, the ball dropping just under the bar. Biggs nearly got in, being brought down about three yards from the visitors' line. The ball was then taken down to the home twenty-five, the leather, after a few scrums, being kicked over the line, where an Eastleigh forward [ James ] scored a try. The kick was taken by Ball, but was a poor one. This success caused great excitement amongst the crowd of onlookers who hailed from Eastleigh, but the home team offered a hard and determined resistance, and prevented any other point being scored. Half-time now arrived, and the teams crossed over amid much excitement. The supporters of Portsmouth were not yet disheartened, having confidence in the staying power of the team, which was fully verified, for the forwards now made the game "loose", and got away with some good dribbles, and ten minutes from the recommencement Ward dribbled over and obtained a try near the corner flag amid a storm of cheers. Five minutes was now spent in measuring the distance of the spot where the try was obtained from the goal line, but the verdict was "a try". The kick was taken by Andrews, and the ball went perfectly true, but dropped just under the bar, although a lot of people fancied it was a goal, and cheered accordingly. Soon after this a free kick was given to Portsmouth for off-side play, and Andrews almost placed a goal, the ball going a little to the left of the posts. Springer now retired from the Eastleigh ranks, having hurt his ankle, but Brook and Sprittles relieved by some good running and passing: their forwards also worked hard, but the Portsmouth men, encouraged by success, played a grand game, Hobbs running being excellent. Mason also nearly got in: Ward then got over, but was pushed into touch in goal. From a throw out near the visitors' twenty-five flag Ward got possession in front of goal, and made a grand run in, scoring almost behind the posts amid deafening shouts, Andrews kicked a goal. This placed the result beyond all doubt, and the home club held their own to the finish, the game ending in favour of Portsmouth by seven points [ one goal, one try ] to two points [ one try ]. Hobbs, Jones, Ward, Allan and Cox played in good style, but everyone did his best. Sprittles, Springer, Ball, Brook, Port and Cowland worked hard for the visitors. Teams :- Eastleigh : J Price , back; T Springer, JA Brook, S Sprittles, and T Young, three-quarter backs; H Ball and C Weston, half-backs; W Port [ captain ], H Evans, F Cowland, H Beauchamp, H Vaughan, PE James, P Jenner, and H Young, forwards. Portsmouth : AJ Cooper, back; A Biggs, EH Andrews and JS Hobbs, three-quarterbacks; A Jones and JH Ward, half-backs; LJ Allen, F Brown, H Brown, F Cooke, G Cox, CG Mason [ captain ], D Perkins, G Read and PG Whitney, forwards. The cup was presented to CG Mason, the captain of the winning team, by Alderman Marvin, who made some very suitable remarks, and said it was the toughest fight he had yet seen for the cup, although he had presented it twice before. Cheers for both teams, and a vote of thanks to Alderman Marvin followed, and the cup was filled several times with champagne. Note: John Brook [ deceased ] and brother Bill Brook [ now living in Australia ] both played for Eastleigh RFC in the 1960s, and are direct descendants of JA Brook who played for Eastleigh in the 1892 Hants Cup Final. Trojans v Eastleigh - This game was played at Eastleigh on Saturday in delightful weather. At the start the home team pressed, but a free kick for the Trojans brought relief. Eastleigh got away with the ball, but Perkins saved in fine style. The Trojans brought off a good piece of passing, the ball going from T. Macdonald to F.N. Ellaby, and thence to I. Macdonald, who was within an ace of scoring. After a scrum on the Eastleigh goal-line, and another fine display of passing by the Trojans, play was again transferred to the Trojans '25'. A useful dribble, however, by W.A. Hooley relieved the pressure. Then I. Macdonald got possession of the ball, and, after a grand run, obtained a try near the touch-line, which F.N. Ellaby failed to convert. Again Eastleigh attacked, and although F.N. Ellaby put in a useful kick, the return kick was equally good. The Trojan quarters were still the scene of action when half time arrived, the Trojans having a lead of one try to nil. In the first half the Eastleigh forwards had decidedly the best of the game, but in the second half the Trojans 'bucked up', and forcibly asserted their superiority. The Eastleigh men, however, made a good fight of it, even if their players were a little rough. Some little time elapsed before the neat try was obtained by Drew from a pass by F. N. Ellaby, and the point was converted by I. Macdonald. After some fairly even play, Nicholson got away, and passed to I. Macdonald, who scored between the posts and himself converted. From this point to the end of the game play took place almost continuously in the Eastleigh territory. In spite of several fine bouts of passing the Trojans were unable to score, and when time was called they retired victors by two goals and one try [ 13 points] to nil. Mr Andrews, of the Portsmouth F.C., performed the duties of referee. Teams :- Trojans: Back, J.T. Perkins - three-quarters, D. Bryce, F.N. Ellaby, I. Macdonald, and P.W. Hooley - halves, T.W. Macdonald and J.S. Nicholson - forwards, F.W. Drew, A.B. Coote, C.G. Griffiths, W.B. Dunlop, H.H. Prendergast, M. Arnold, A. Colson, and W.A. Hooley. Eastleigh: Back, T. Young - three-quarters, W. Collins, W. James, J. Price, and T.Springer - halves, Rev. C.P.S. Clark and J. Constable - forwards, J. Bishop, W. Clark, H. Speller, H. Cooper, E.Vaughan, F.Cowland, C. Geale, and T.Askew. Little is known of the Eastleigh Rugby team between these dates. There is written evidence however that the Hampshire RFU was formed, or perhaps reformed, in November 1910 at a meeting with representative from US Portsmouth, Eastleigh FC, Southampton RFC and Trojans. There is also evidence that Hampshire had a county rugby team in 1900, a year in which they played games against Kent, Somerset, Surrey, Eastern Counties and East Midlands. It also appears that some local Clubs, like Eastleigh and Southampton, ceased to exist during and after the First World War, which I suppose is not that surprising. The only other early record of rugby in Eastleigh before the First World War is a copy of a photograph showing an Eastleigh Rugby Team from the 1910/11 season. This also hangs in the clubhouse, and shows the team wearing white shirts with a 'skull and cross bones' badge. This photo inspired the current Mini and Junior Section of ERFC to adopt the name of 'Eastleigh Pirates', and fly the Jolly Roger from the clubhouse during home games and training sessions. Note : Research into archive records is on going in order to fill in the gaps of this history from the late 19th Century up until the formation proper, in 1931, of the current club playing under the name of Eastleigh Rugby Football Club. After The First World War, and prior to 1931, rugby in Eastleigh was under the name of Pirelli General, a very large employer in those early days. In the summer of 1931 a notice appeared in the Eastleigh Weekly News to the effect that it was proposed to from a club to be known as the 'Eastleigh Rugby Football Club'. Anyone interested was asked to make contact with Mr G White of 90 Cranbury Road, Eastleigh. Nineteen persons attended a meeting at the Eastleigh Town Hall, and from those who attended the Club was formed. B Coates was elected the first Chairman, and LJ Woodward the first captain. G White took the position of Hon Secretary and LO Scott was elected Hon Treasurer. Weekly match fees were agreed at one shilling and nine pence [ approx 20p ], and the Town's colours of black and amber were adopted for the shirts. Home games were played at Fleming Park and the Pavilion used for changing. The pitch and Pavilion has now been replaced by the Leisure Centre. Socialising and entertaining visiting teams was done at 'The Home Tavern' opposite the railway station. First season results included losing to King Alfred's College 46-0, but beating Trojans 'C' 6-3. The Trojans Rugby Club being considered a Southampton Town Club in those days. First team record was played 25, won 21, drawn 3, lost 1. The only defeat being against Pirelli General, while wins were recorded over Trojans 'A', Bournemouth 'A', Salisbury 'A', Portsmouth and Winchester. A second team the 'A' XV was formed. New shirts were purchased with the colour red added to the black and amber so as to avoid a clash with most other local clubs who also wore mainly black shirts. A third team was formed, the 'B' XV, who had to play in their own work shirts at the time. First Club 'Supper' [ Annual Dinner of today ] was held at 'The Home Tavern'. First Club President, W Bracken, was elected. Only two games played that season, against Isle of Wight and a final game against Bournemouth, before the Club members went to war. During the Second World War it would be fair to say that Eastleigh RFC was represented as an international team in many parts of the world. Included in the venues was Mombassa, Kenya where Bill Saffery's Eastleigh XV played on rock-hard, sun-baked grounds. Unfortunately this didn't last too long as rugby was taking a greater toll than the enemy, and the Commanding Officer put a stop to the team. Most the players kept in touch during the war using the Secretary, Pop Crocker, as a post box and rallying point. On the 26 April 1946 a meeting of players was held at 'The Home Tavern'. Some members had moved away, and some of course had lost their lives during the war, but the Club started to play again, and new members soon filled the ranks. The Town Council organised the planting of trees at Fleming Park in memory of the Eastleigh people killed in action, and Eastleigh RFC sponsored 'our tree' which still stands with many others as a permanent memorial. During this season Bill Saffery became the first member of Eastleigh RFC to play for Hampshire, in a game against United Services Portsmouth. A second pitch was obtained at Fleming Park. One notable character of that season was the Reverend John Hoskins, curate of Eastleigh Parish Church. It was suggested, but never proved, that the Reverend wore his rugby kit under his clerical attire while officiating at early Saturday afternoon weddings. It was certainly a fact that he regularly arrived only minutes before kick-off. Before moving to Eastleigh he had played regularly for Rosslyn Park. First ever Easter tour to Devonshire, playing Chard, Honiton and North Taunton. played 31, won 24, drew 3, lost 4. During this season played first game against Old Colfeians, who wrote in their match programme 'Unfortunately we do not know the record of Eastleigh RFC as it does not appear in The Times RU records. The BR timetable, however, informs that Eastleigh is a town of 30,557 population and has the longest railway platform in England'. Their match programme also stated how proud they were of their unbeaten home record, but this went on that day as Eastleigh took a 6 -0 victory back to their longest platform. Gus Walters and Andy Turnball played in the Hampshire County Championship side. David Meech took over as first team captain, and was another player to gain full County honours. Moved social base again to the Eastleigh Working Men's Club in Market Street. Club Secretary for thirty years, Pop Crocker, retired from the Club and was greatly missed. Unfortunately 'Pop' passed away towards the end of 1962. On the move again, this time to 8/10 Station Hill, just up from 'The Home Tavern'. A few dilapidated rooms became ours through a link with the Royal Air Force Association, and warmly known by Club members, and visiting teams alike, as The black hole of Calcutta. No bigger than your grannies front parlour with an entrance under an archway and round the back of the Irish Club. This was in fact the first social home where the Club controlled the accommodation, and took money behind the bar. About this time the Pirelli Rugby Club folded, and we benefited from some good recruits. Michael Meech, younger brother of David, became first team captain. Michael must be one of the most outstanding players ever to wear an Eastleigh shirt, and went on to gain over twenty caps for Hampshire. Under the captaincy of Bob Scarr the Club reached the semi-finals of the Hampshire Cup for the first time. Moved Clubhouse yet again, this time to our present site in the Pavilion at Bishopstoke Playing Fields. Bob Millard became a very successful first team captain, and we reached the semi-finals of the Hampshire Cup this season, losing away to Jersey; and again in 1979/80 losing away to Havant. Under the four year captaincy of Bob the first team record was played 133, won 102, drawn 4, lost 27. Golden Jubilee for the Club. Played a jubilee match against Con Van Wely's XV. Bill Saffery and Con Van Wely played together in the early Eastleigh teams, Con Van Wely now being a prominent member of Bristol RFC. The match was drawn 22 all, which wasn't bad considering most of the Bristol first team turned up, captained by England flanker Mike Rafter. Reached final of the Hampshire Cup for the first time, losing away to United Services Porstmouth. Services at that time being a first class side with games against Wasps and London Irish on their fixture list. Coached by Malcolm Miles the Club went close to defeating Services, but their greater experience saw them through in then end. In that final former Swansea centre J. Janczewski played for the Club and scored our only try. The 1980's, prior to league rugby, was probably the best period for the Club on the playing front. Our fixture list included, and we beat, teams like Havant, Basingstoke, Henley, Bracknell, Camberley, Crawley, Marlow. The Club put out five senior sides plus a veterans at its height during the 1980's, not to mention a thriving Mini, Junior and Colts section. Reached final of Hampshire Cup, losing at home to Havant by 31-0. The match was refereed by a young Tony Spreadbury. Reached semi-final of Hampshire Cup, again losing at home to Havant. One of the first, if not the first, women's team to be formed in Hampshire. Won the County sevens played at Winchester in their first season, mainly due to the strong running of our Welsh international centre. Toured Ireland during 1995/96 as guests of the famous Old Crescent Club in Limerick. At least three of the team played for the County during their existence. Unfortunately at that time the Club could not provide the support need to run the women's side properly, so most of the team went across to the Trojans Club to form the basis of their, now very successful, women's league side. Tom Luke became Eastleigh's first home grown England international, playing three games for England Students. Tom joined Eastleigh in 1992 at U9 level, and played right through the Junior sides to captain the U17 Hampshire Cup winning team. In 1999 he was a member of the Great Britain Touch Rugby Team to tour Australia. Since leaving Eastleigh Tom has played for Bath University 1st XV; Bath Rugby Academy 1st XV; Bristol Shoguns 1st XV [ semi-pro ]; Leonessa Rugby-Italian Super 10 [ full pro ]; and starts the 2005/06 season as a full pro at Bedford Blues. Yet another move of Clubhouse, this time to a purpose built two-storey building alongside our old Clubhouse at Bishopstoke Playing Fields. February 2006 saw the sad deaths of two Eastleigh stalwarts in 1957/58 first team captain David Meech, and the popular Peter Jackson. A memorial lunch in their honour raised over £400 for the Wessex Cancer Trust. The first team gained promotion to Hampshire One league when they finished runners-up to Farnborough. This season again saw the passing of two Life Members, Terry Lynch the Club President passed away suddenly towards the end of 2006. Funeral donations of £1250 went to the rugby charity SPIRE, and a memorial lunch in his honour was well attended by family and friends. Another old stalwart, Eddie Lee, passed away just before Christmas after a short illness. On the playing front things didn't go to plan and several lapses in a few vital games saw us relegated back to Hampshire League Two. This season saw the death of two ex-players in Steve Buckley and Nick Gosse, our thoughts are with their friends and family. The season finished with promotion to Hampshire Division One, and the winning of the Hampshire Plate against Farnborough by 15-8. A good season all round with 23 wins and only three defeats, and a tally of 782 points for and 158 against. Just managed to avoid relegation from Hampshire Div One by winning the very last game of the season 24-7 against Farnborough, with other results going our way. Second XV finished top of the Hampshire Merit Table Three. Mike Whitecross, former Junior & Colts coach and senior Club Treasurer, passed away on 15 April after a long illness from cancer. The First XV managed a very credible 3rd place in Hampshire Division One, losing out on promotion to Alton and Petersfield. The Second XV finished mid-table in Merit Table Two. December 2009 sadly saw the death of Eastleigh stalwart and former Chairman John Sneezum after a long illness. In February 2010 the club lost Andy Kidd of the Junior Section due to a sudden heart attack, and in April saw the sudden passing of former First XV player Gary "Wizzo" Wilson at the age of 49. The First XV ended their Hampshire One season as runners-up to Andover RFC. Unfortunately, they lost the promotion play-off to a very good Surrey One side, Old Blues RFC. The Second XV finished third in their Merit Table after an excellent season under Adam Blyth. A Third XV, known as the Social XV, played 16 games under the guidance of John Harris, the first time a regular Third XV had turned out for a few seasons. Having just fallen short of promotion last season, the First XV made sure this season by becoming Hampshire One Champions, and hence playing in the London Leagues next season for the first time for many a year. In fact, all three sides got promoted from their league or merit table, and are looking forward to new opposition next season. A great first season back in the London Leagues for the First XV, finishing fifth overall in the table. The Second XV finished in the top three in their Merit Table, but the Third XV struggled in their Merit Table. Sadly, towards the end of the season, our Club President Brian Russell-Taylor passed away suddenly from cancer. A huge loss to the Club and his family. This season saw the sad passing of three ERFC stalwarts. John Poole former First XV Captain and Colts organiser, and Malcolm Miles former Coach and Club Chairman, both passed away in Sept 2015. June 2016 saw the sudden death of former player and Club member Peter Burnell from a heart attack. The First XV finished seventh out of twelve in the London3 SW League, having finished third in the previous two seasons. The First XV won the Hampshire Bowl final beating Trojans in a very good game. A very strong showing by the Third XV and the Second XV ended up top of their League which completed the season. Eastleigh RFC appear to have adopted the then Town Coat of Arms when reformed in 1931. Prior to that old photographs show the 'skull and crossbones' on the players shirts. Although the Town coat of Arms changed design in April 1974 [ when Bursledon and Hamble became part of the Borough of Eastleigh ] Eastleigh RFC retained the old Town Coat of Arms for its Club badge. In only the last few years the Mini and Junior Section of the Club adopted the name of 'Eastleigh Pirates', and their shirt badge shows the 'skull and crossbones' motif with the date 1892. This date, 1892, is believed to be the date rugby was first played in Eastleigh, but an account of the Hants Rugby Cup Final between Portsmouth RFC and Eastleigh [ March 1892 ] indicates Eastleigh Town had a rugby team before this date. The grant of armorial bearings is made by the Kings of Arms under the authority of the Earl Marshal to whom the function has been delegated by the Crown. Their possession is a dignity and has been described as a 'token of honour'. Or, on a Bend chequy Sable and Argent between in Chief a Mitre of the second and in base a Lily leaved and slipped proper three Roses Gules barbed and seeded also proper: and for the Crest On a Wreath of the Colours in front of a rising Sun a winged Wheel Or. The Bend chequy recalls the fact that Eastleigh was a manner held in chief of the King by the service of the holder as Chamberlain of the Royal Exchequer. This forms the background for the three Hampshire Roses Gules. According to tradition the red rose emblem was granted to the County by John of Gaunt, Duke of Lancaster. In the top right-hand corner, the Bishop's Mitre forms an obvious reference to the Bishops of Winchester and their connection with Bishopstoke. The Lily in the bottom left-hand corner is that of St Mary, the patron of the Churches at Bishopstoke and South Stoneham [ out of which Eastleigh was carved ]. Between the Field and the Crest stands the Helmet, surmounted by the rising sun [ progress ] and the winged wheel [ transport ] and these set off the whole design of the Arms. The Arms contain the motto 'Salus Poluli Suprema Lex' the accepted translation being 'the welfare of the people is the highest law' and expresses the Council's desire to place the well being of the community above all else. an Eastleigh RFC Junior Success Story! 2000 - 2002 Bath Rugby Academy 1st XV. 2002 England Students, two caps against Scotland & Ireland. 2003 England Students against Combined Services. 2002 - 2003 Bristol Shoguns [ semi-professional ]. 2003 - 2005 Leonessa Rugby, Italian Super 10 league [ professional ]. 2005 - 2006 Bedford Blues [ professional ]. 2006 - 2008 Limerick Bohemians, Ireland [ professional ]. 2007 - 2008 Doncaster RFC [ professional ]. 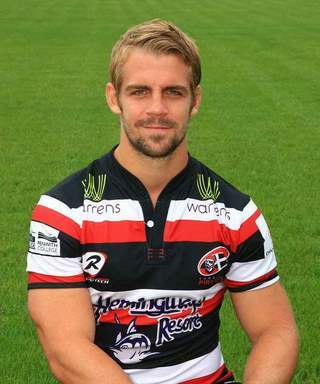 2008 - 2011 Cornish Pirates [ professional ]. 2011 - 2013 Doncaster RFC [ professional / coach ]. 2013 - 2015 Vancouver Ravens, Canada [ professional / Head Coach ]. 2015 Canada National U20s [ backs / attack coach ]. 2016 Head of Rugby, St Bedes School, Bristol. 2016 Retired from professional rugby. 2016 Thornbury RFC, Bristol [ player/coach ]. As a culmination of his professional career, Tom was invited to play for a representative Harlequins select XV against a Barbarian World XV team in Bermuda.